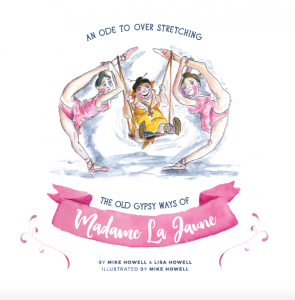 This hilarious children’s book brings some well needed lightness to the serious issue of overstretching that is rife in the dance and gymnastics industries. It is a perfect book to have in your waiting area, to promote discussion on this important topic. 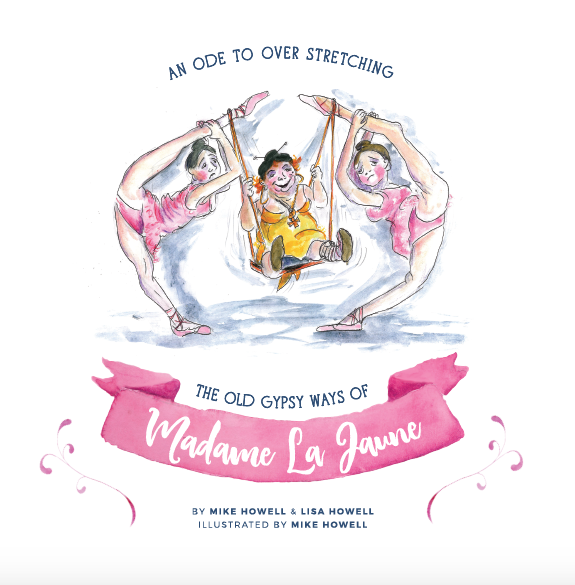 The story of Madame La Jaune was spawned from a conversation between Lisa Howell and her dad, Mike, when Lisa asked him if he could draw up some cartoons of the crazy overstretched positions that dancers are seen in these days all over social media. She wanted to highlight the potential danger to the body that was caused by sitting in positions like these, whilst still appealing to everybody’s sense of humour. From there, the story took a life of its own. The pictures were an absolute success and members of the dance world fell in love with the simple but clear message that was embodied in Madame La Jaune. 6 months later and this is the result, a story of dance, comedy and science. This book will give you an insight into the other side of Overstretching and the seemingly crazy ways of some teachers. 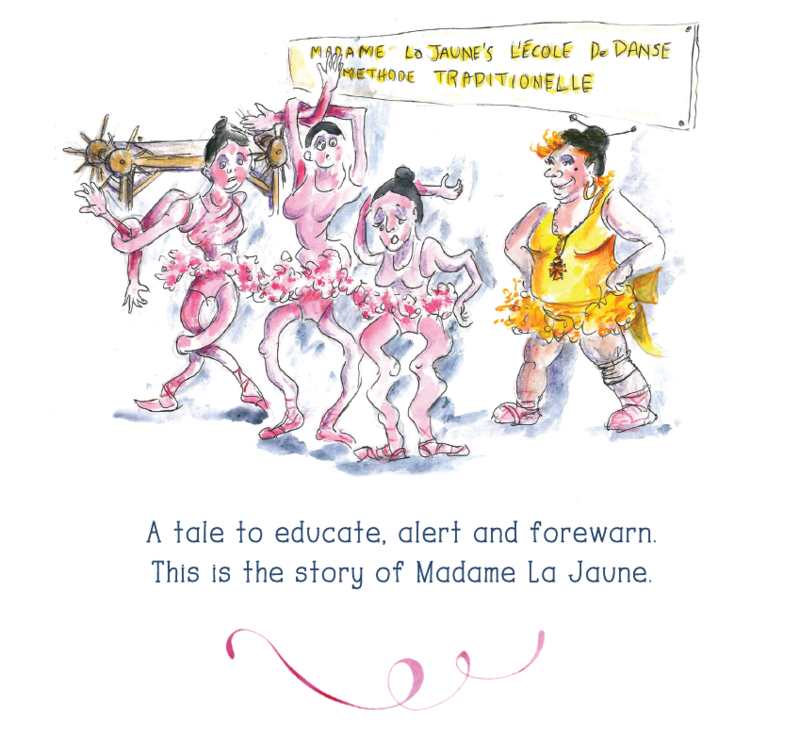 Follow Madame La Jaune and understand her point of view, as well as where we go to from here! 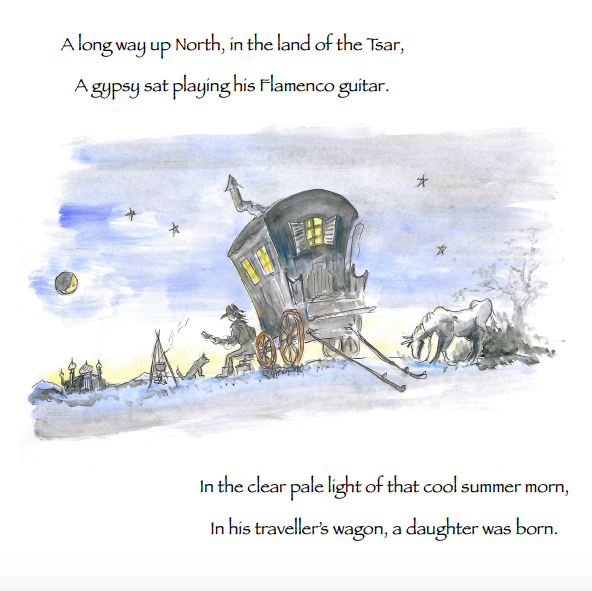 I was absolutely stunned when my Dad presented me with this children’s story book, that he had conceived and birthed all on his own. 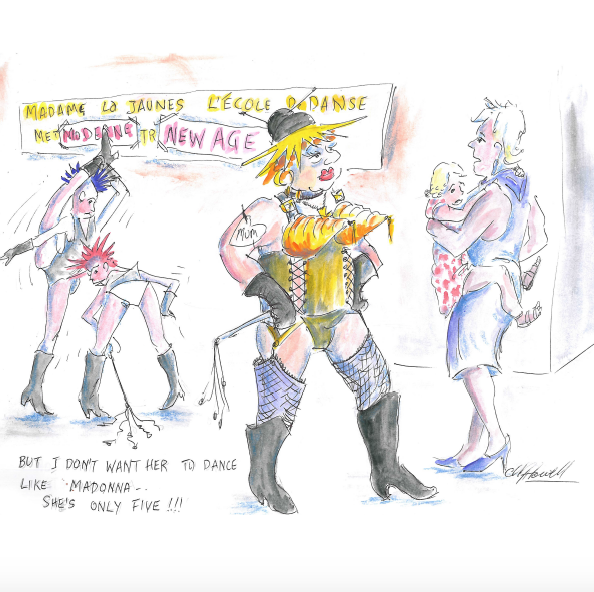 I had asked him for some images, based on some of the ever worsening images I was seeing online of young dance students bodies being trained in some questionable ways, and he took it to a whole new level! 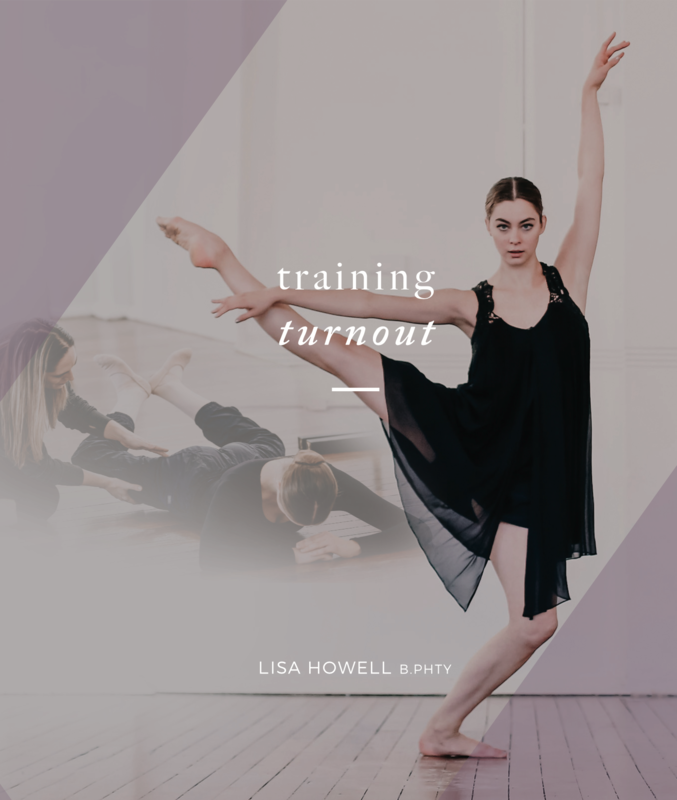 Many dance teachers had been asking me for years to write something, film something, just somehow do something to help them steer their young, impressionable students away from such unsafe practices. 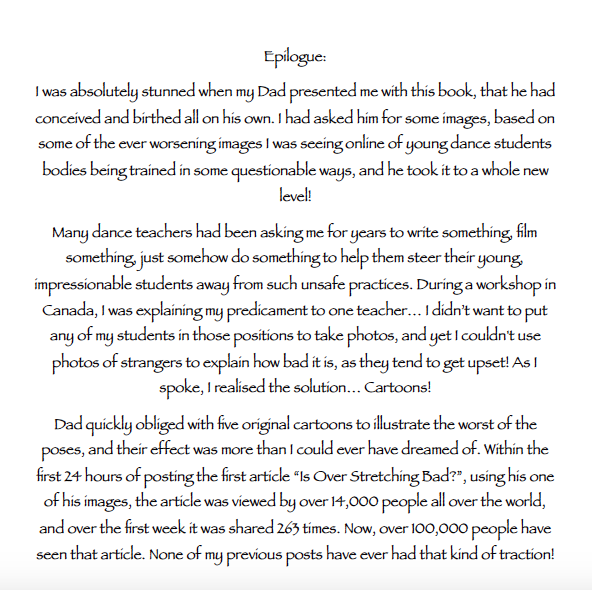 During a workshop in Canada, I was explaining my predicament to one teacher… I didn’t want to put any of my students in those positions to take photos, and yet I couldn’t use photos of strangers to explain how bad it is, as they tend to get upset! As I spoke, I realised the solution… Cartoons! Dad quickly obliged with five original cartoons to illustrate the worst of the poses, and their effect was more than I could ever have dreamed of. Within the first 24 hours of posting the first article “Is Over Stretching Bad?”, using his one of his images, the article was viewed by over 14,000 people all over the world, and over the first week it was shared 263 times. Now, over 100,000 people have seen that article. None of my previous posts have ever had that kind of traction! 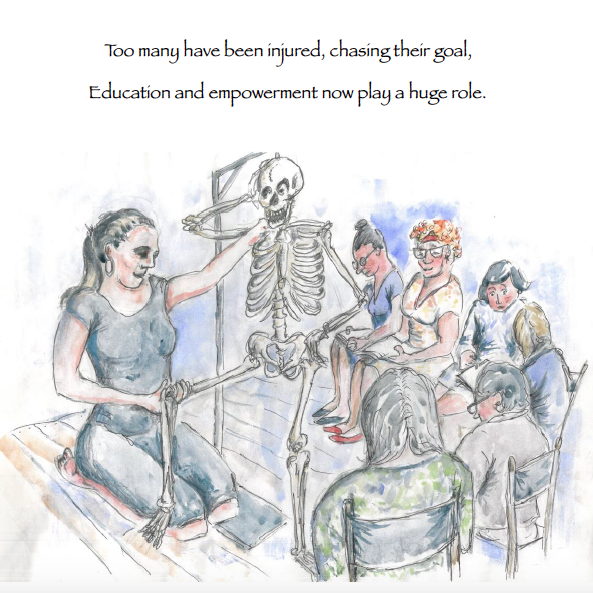 Unfortunately, every day I see dancers with injuries due to over-zealous stretching techniques, that can create weakness in the tissues, a torn labrum or hamstring tears. So many of these injuries could have been prevented with a little extra awareness and safer dance practices. I am not against stretching, but many, many people do not respect the tissues that they are working with. I am committed to a new generation of empowered, healthy dancers, who will live a life beyond their time on the stage. 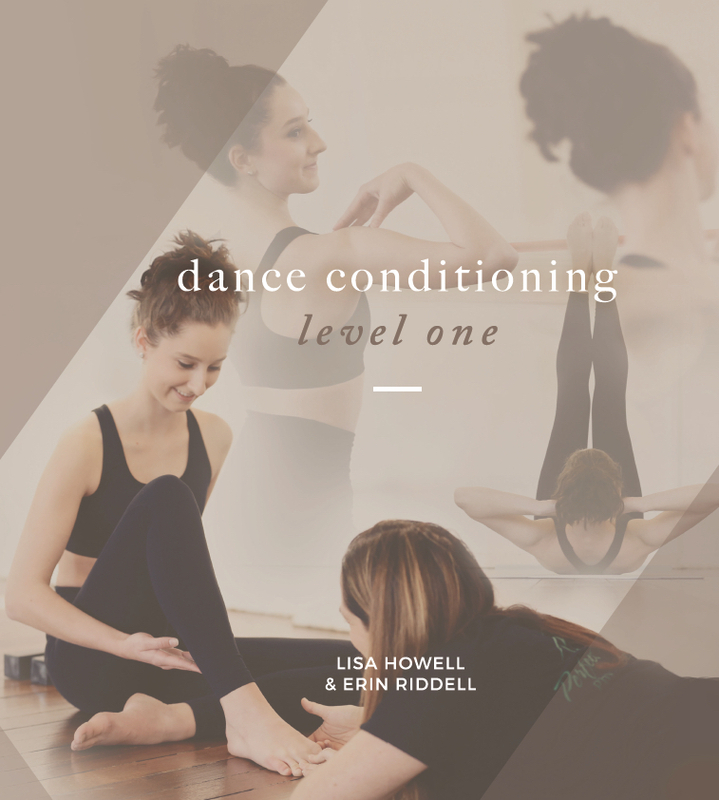 I work with Dancers and their Teachers to understand the anatomy, the physiology and the psychology of stretching in a much deeper way, to get even better results with far less risk of injury. I am so proud, and so grateful to be able to share this part of the journey in this very special project with my beloved Dad. I love and respect him so much, and he has helped shape the woman I am today. 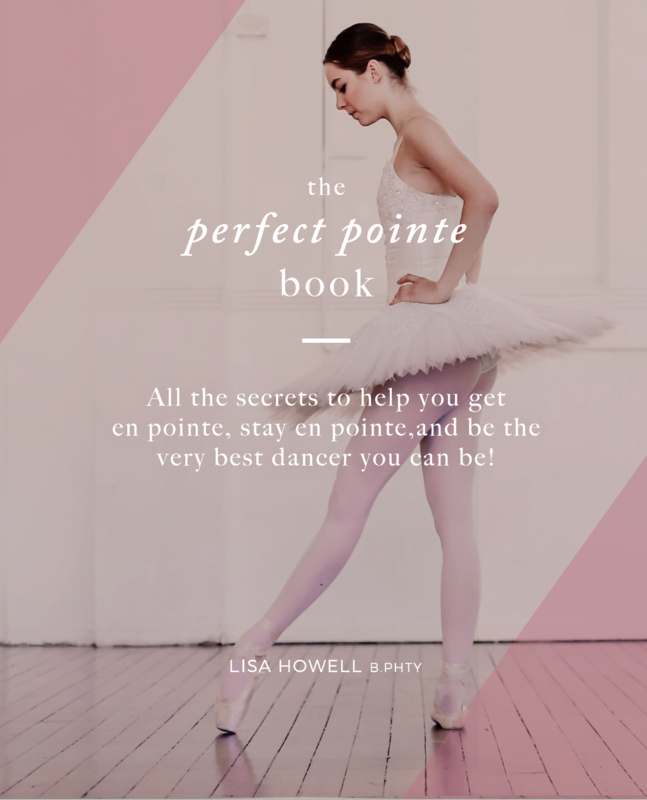 Thank you for helping us spread the word, and helping young dancers care for their own bodies . My daughters dance teacher said that she is “Hypermobile” What is this, and what does it mean for her as a dancer?